Interview questions are designed to be tough. No one likes them but interviews are the final stage before getting that dream job. You will find listed below advice on answering some of the most popular interview questions and some that you are yet to come across. For more help take a look at the Interview Tips page. More details help we can offer can be found on the CV Writing Services Page. Sounds a bit like the sort of question you get asked on a date! This isn’t as straightforward to answer as it might seem. Firstly, don’t start rambling on about how much you love watching the Simpson’s on the TV, that isn’t what the interviewer is looking to hear. You probably need to answer this question with a question. Perhaps you could try saying, “What would you like to know about me?” This then gives your interviewer the chance to get you to tell them exactly what information they are looking for. By asking this question you will be better placed to know what information the interviewer is trying to determine, which will probably be based around your current job not necessarily your personal life. Sometimes your interviewer might ask about your hobbies and again you should try to pick out points that relate to the job you are applying for even if they are remote. If possible, keep this part of the interview to a minimum. Only you can answer this question, but it is something that will more than likely be asked. After all, the interviewer wants to know what you are good at. When answering this question try and provide strengths that relate to the role that you are applying for, so if the job requires the need to be organised and a good team leader provide these as strengths within your answer. Tell Us About The Biggest Challenge You’ve Ever Faced In Your Career? You are more than likely to be asked this question and it is a great opportunity for you to blow your own trumpet. Pick a challenge where you have been successful and explain how you overcame the challenge and the outcome. But be aware the interviewer may use this question to gauge what you consider to be a challenge. What Is Your Present Boss Like? 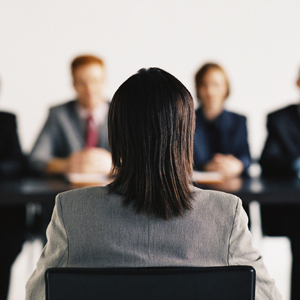 An interviewer will ask this question to gauge a candidate’s loyalty and integrity. It is not a good idea to be damning about any of the employers you have ever worked for. The most appropriate reply is: “I like my boss and get on very well with them” or “I respect their experience and they are good at their job." You really don’t need to expand any further on this issue at interview stage. The person interviewing you may become your boss and by bad mouthing previous employers they could think you will do the same about them. Try and answer the question positively but not too arrogantly – perhaps you could offer an answer such as: “I have always been very career minded and ambitious. I would like to keep progressing and feel that your organisation will be able to offer me that opportunity.” Please don’t say: “sitting in your job!” The remark often has an element of truth and you don’t want your interviewer thinking you are a potential threat to them in the future. What Would Your Work Colleagues Say About You? This question provides the opportunity for you to demonstrate that you are easy to get on with, a team player and a generally amenable person who works well with other people. You could answer this question with something such as: “My workmates would say I am organised, approachable, dependable and easy to get on with.” It is important to ensure you don’t go over board with your answer by making out you are something you are not. You may get away with stretching the truth, but if you are not a “natural team leader” don’t say you are! This will be a definite interview question and is asked by the interviewer to try and ascertain what you are like outside of work. Don’t make interests up just provide honest answers. There is nothing worse than saying you are interested in something only to discover the interviewer is mad about the subject and starts asking you questions you can’t answer. It will make you look foolish and bring your honesty under scrutiny. What Qualities Do You Think You Can Bring To This Job Position? You know that you can do this job and that is why you have applied for it. Before going to the interview ensure you have reviewed the job spec and the key responsibilities. You can then prepare answers and select areas where you feel your qualities will stand out. For example if they require someone who can handle complaints you might say, “I am very tactful and am able to defuse situations using my personal skills." This is a bit of a pointless question as the chances of the interviewer getting a straight answer are fairly limited. The reality is if the job you are in doesn’t pay very well and you want to earn more then you are going to be looking for a new job. It might be that your current boss is difficult and you don’t like them, it could be you can’t stand working with John in accounts; however you aren’t going to say any of these reasons (are you?). The best answer is always you are looking for career progression or that you are looking to expand your skills / experience further. As mentioned earlier, try not to be negative about the job you are leaving as it reflects on your loyalty to a potential employer.